Easter Seals Ontario is a registered charitable organization that helps children and youth with physical disabilities from all ethnic and religious backgrounds. 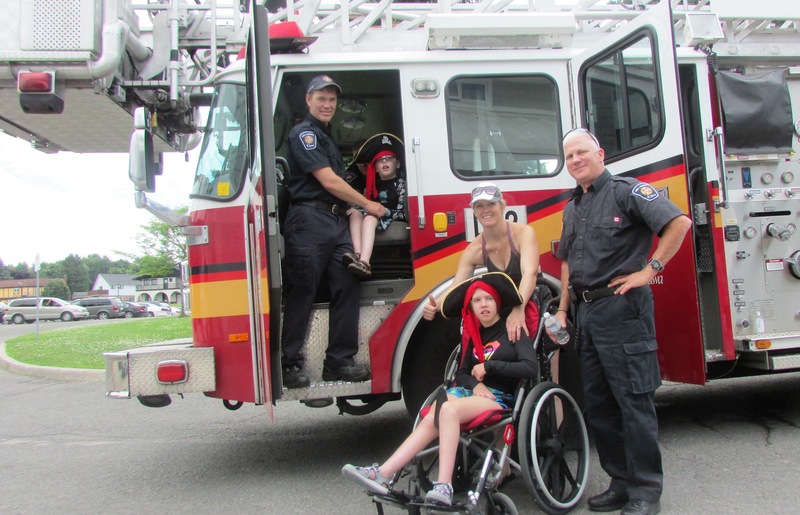 Easter Seals assist families with the purchase of costly mobility equipment such as wheelchairs, walkers, porch lifts and ramps, as well as communication devices, toileting aids and bathing equipment. Easter Seals also helps by providing summer camp opportunities at our two properties, Camp Merrywood (Perth, ON) and Camp Woodeden (London, ON). Easter Seals also offers post-secondary scholarships and provides access to information and resources, and public education and awareness. Thanks to its generous donors, Easter Seals continues to offer programs that allow kids to experience freedom, independence and a sense of accomplishment. For families, Easter Seals is somewhere to turn for help when they need it. Easter Seals helps kids BE KIDS. Once you’ve signed up to swim, don’t forget to use your online fundraising profile (that is created when you registered) to ask your family, friends, and colleagues for donations in support of your 3K open-water Bring on the Bay challenge! Not only will your online donors instantly receive their tax receipts to their inbox, but your online donations will go directly towards your individual participation in this great event, with Fundraising Rewards, entries into early-bird Fundraising Prizes, and race-day Top Fundraising award. Not to mention all funds will support kids with physical disabilities!! Additionally, all fundraisers who raise $97 or more will receive an Easter Seals OTG strap (https://otgstrap.com/) to mount your phone to your bicycles and other equipment. You could win a $200 gift certificate from Bushtukah! For every $50 raised before the draw dates, you can enter to win! Online donations will be tracked up until midnight of both dates. Any off-line pledges collected must be submitted to Easter Seals prior to 2pm on those dates for you to enter additional ballots. The top overall fundraiser will win a Trek FX1 Hybrid Bike from Bushtukah! This prize will be awarded based on fund collected online and offline up until 8:00am on race day. This prizes will be announced at the awards presentation. Please note that all fundraising prizes listed above were in effect for 2018. We expect little change but please check back here in early 2019 for confirmation. Downloadable form available here: 2019 Bushtukah Bring on the Bay Pledge Form. So be sure to invite friends and family to help out by sponsoring your participation in the Bring on the Bay swim. It’s for a great cause.